Along with the Big Data & Analytics boom, few other topics have also gained a lot of traction and seems to be very positive in becoming the next disruptive trend in the market. You might have already heard about most of them, viz Machine to Machine Data (M2M), Industrial Internet, Internet of Things (IoT), Internet of Everything (IoE), Web of Things (WoT) , Programmable Web and the list goes on. The most popular one among all would be the Internet of Things – since this is the most common marketing term or taxonomy used to address the area of devices/machines talking to each other. Yes, IoT is definitely gaining a lot of traction than all other terms since this was a common taxonomy used by most players in this field. But the moment you get to know about IoT, few other names also come along. 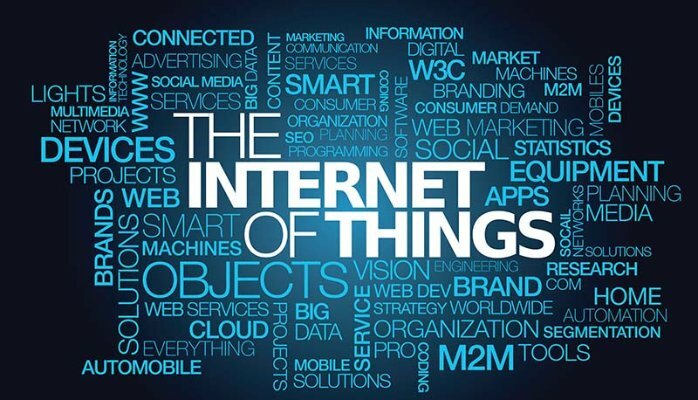 We assume these are either subsets or variants of IoT and so we start researching about them, only to find a lot of overlapping or similar definitions which give no clear distinction among these topics. A major overlap happens when you try to understand the differences among M2M, IoT and IoE. Basically with the current scenario all three topics are almost similar with no major differences, but initially when these terms were evolving there was indeed a considerable difference. This is more evident in the evolution from M2M to IoT and a bit in evolution of IoT to IoE (by Cisco). The scope of this article is restricted to enlighten you about the key differences and similarities between the terms M2M, IoT and IoE and also how they evolved. Later, we would also look into few advancements IoT/IoE infrastructure and the disruptive market changes we can expect from them. The buzz about machines communicating with each other started long back than most of us thought and was called ‘Machine to Machine Data’ back then. It was the early 1950’s when a lot of a machinery deployed for aerospace engineering required automated communication or engineering machinery which required remote access for maintenance and service. Telemetry was where all of this started from. It is a process in which highly automated communication is established from which data is collected by making measurements at remote or inaccessible points/geographies and then sent to a receiver through cellular or wired network where it can be monitored for further actions. To understand this better, take the example of a manned space shuttles sent for space exploration. Many sensors are installed in the space shuttle which can measure the physical conditions of the astronauts and also maintain and monitor a proper working environment for them. The data collected through these sensors were transmitted to the base station location on the earth, where a team could analyze this data for actions. Similarly, the early engineering days did see a small growth in Machine to Machine data since it was critical for some missions. Thus Machine to Machine data was born mainly through telemetry. But this didn’t scale to the extent it should have because no one really saw the business outcomes those days or rather the scope was very limited. Installing sensors collecting data , sending and receiving them through a wired or cellular network and then analyzing them was an expensive deal. Only extremely critical projects where failure could be catastrophic like space exploration was given a priority. Moreover we didn’t have so many devices or machines that could connect to the network. So how did Internet of Things come into the picture? As time passed, the number of devices in the ecosystem scaled exponentially, computing power boosted to massive scales, infrastructure for communication became cheaper and more robust and finally the need to connect devices and talk to each other also evolved. Organizations studied the hidden potential in the data that is generated from these devices which on leveraging could help them in creating new business models and also help individuals, business and the society. This gave birth to Internet of Things. Technically the major difference between M2M and IoT was that the devices/machines communicated through cellular or wired network in M2M whereas IoT devices communicated through IP network. the ever-growing network of physical objects that feature internet connectivity, and the communication that occurs between these objects and other Internet-enabled devices and systems. In IoT, things (devices) are equipped with sensors which can collect data for specifically designed use cases and transmit them to a cloud/server where it can be further analyzed for product improvements, new business models etc. The kind of devices that can be connected is an endless list. Let’s take a simple example about how an actual IoT use case can work. Consider you are equipped with a smartwatch/smartphone that is connected to a lot of devices at home, say your refrigerator, air conditioner, doors, microwave,coffee machines etc. You are currently in office and you get notified that your wife has reached home (she uses the unique card key for the door). You use your app to turn on the coffee machine and the microwave so that your wife can have some hot coffee and sandwiches. In another half an hour your kids arrive home from school and you get notified again, you now change the air conditioning settings and set the refrigerator to defrost using your phone and make a move towards home. After 30 min you are home, the temperature is well set for 3 people in the room, you take out drinks from the refrigerator and chit chat with your child on the couch. Wasn’t this really easy and intuitive? But how did this happen, how come you could control everything from your phone with an app. This is how IoT works. Devices can talk to each other and take actions based on signals. 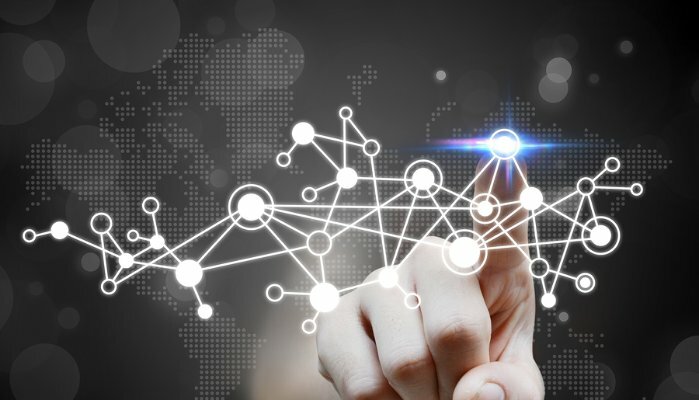 On a broad scale, IoT can be defined as – a scenario in which objects, animals or people are provided with unique identifiers and the ability to transfer data over a network without requiring human-to-human or human-to-computer interaction. IoT has evolved from the convergence of wireless technologies, micro-electromechanical systems and the Internet. Ok, so is IoT completely different from M2M? Yes and No, the only major difference between M2M and IoT was the network it used for transmitting and receiving data. But this was mainly due to the infrastructural difference during the time when M2M was evolved. Today, many industries have heavy engineering machinery that communicated on an IPV4/6 network and form a network called as Industrial Internet or sometimes they are still called M2M. Hence the difference between these two are bare minimum. There are enough cases where they are used interchangeably. Some use the former for a more aggressive marketing campaign. So even though the M2M can be called the ancestor or a subset of IoT, today they are pretty much the same and can be used interchangeably. M2M is more often used in heavy engineering industries whereas IoT is used more often in the consumer electronics market. So what is IoE, is it the next level of IoT? If we take an abstract look at IoT and IoE, we would basically see no differences. 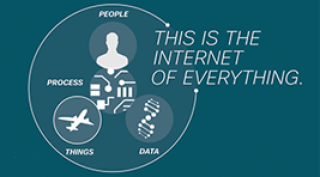 The term IoE – Internet of Everything was marketed by Cisco with an intuitive definition. Few articles over the internet cite IoE = IoT + People i.e. emphasizing Humans also as a part of the connected network. 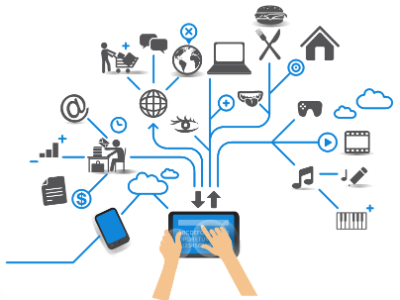 IoE is nothing but IoT broken down and reorganized in a more intuitive and useful way. The Internet of Everything is the networked connection of people, data, process and things. The IoE is made up of many technology transitions, including the Internet of Things. It claims that it is built on the foundation of the “Internet of Things” by adding network intelligence that allows convergence, orchestration and visibility across previously disparate systems. The core concept of IoT was modified and simplified, which was necessary. The way Cisco segregates the entire ecosystem of IoT into 4 separate parts is intuitive. 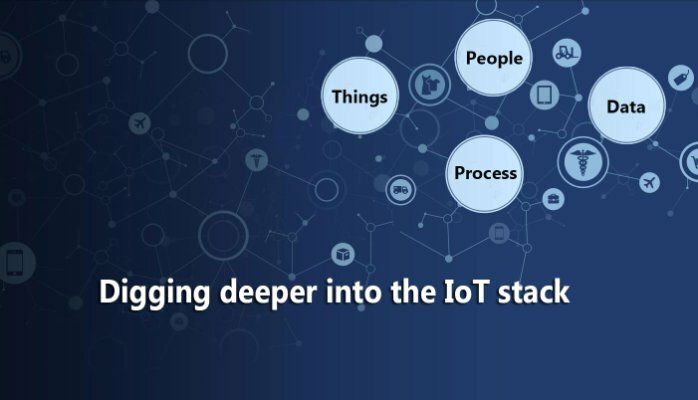 Since IoT is also evolving at a dramatic pace, segregation of the ecosystem into the most fundamental objects so as to help the evolution of these objects in a more seamless way was very necessary move. Data: Data was previously not considered as a separate asset, but now with the torrential amount of data getting generated, the ideology behind storing, retrieving, processing and analyzing the data is an art of its own. So in a nutshell, we can say – first came M2M, which in due course of time evolved to IoT and then finally evolved to IoE. Logically showcasing the former as a subset of the latter. But now with the M2M using IPv4/6 networks and forming Industrial Networks, the terms IoT and M2M can be used interchangeably. And IoE is nothing but a smarter and improved way of ideating IoT. Please share this article if you find it useful and share your thoughts/comments for the same. Would love to hear back from you!